Kosher salt is not iodized (treated with iodine) and therefore is preferable for use in pickling or other dishes where natural yeast and bacteria development is desirable. Koshering salt, usually referred to as kosher salt in the US, is a term that describes one of the most commonly used varieties of edible salt in commercial kitchens today. Kosher salt has a much larger grain size than some common table salt. Like common table salt, kosher salt consists of the chemical compound sodium chloride. Unlike some common table salt, Kosher salt typically contains no additives (for example, iodide), although some brands will include anti-clumping agents in small amounts. Additive-free non-kosher salt is also readily available. Substitutes: Table salt, Sea salt. Choosing: Choose by brand that you prefer, Its your choice. Procuring: Kosher Salt is Manufactured. Kosher salt can be used in nearly all applications, but it is not generally recommended for baking with recipes that use small amounts of liquid (wet ingredients). If there is not enough liquid, the kosher salt will not dissolve sufficiently, and this can result in small bits of salt in the resulting product; in certain applications this is undesirable. In recipes where there is enough liquid to dissolve all the salt, table salt can be replaced by kosher salt, but the volume must be adjusted. Because kosher grains occupy more volume (for equal weight) the volume of kosher salt should be increased. Because kosher salt grains can vary in size considerably from one brand to another, it is recommended that one check the box for a conversion guideline, which is generally provided. If there is no guidance provided, twice as much kosher salt (by volume) to replace table salt serves as a rough estimate. 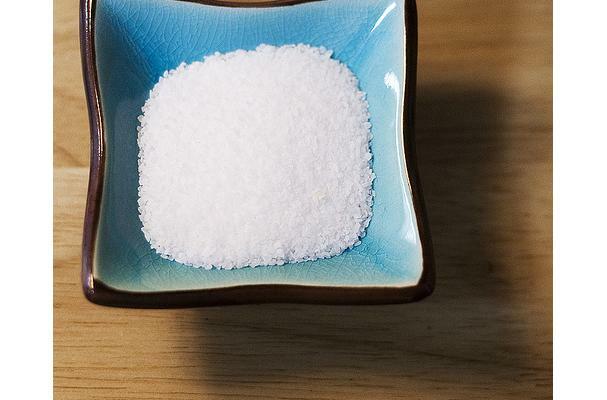 Another reliable technique is to use an equal weight; a gram of kosher salt is equivalent to a gram of table salt. Because of the absence of iodine, kosher salt is preferred by most chefs to iodized salt. Cleaning: No Cleaning is Necessary. Store in Salt Shaker, Bottle, or Tupperware. History: The term "kosher salt" derives not from its being made in accordance with the guidelines for kosher foods as written in the Torah (nearly all salt is kosher, including ordinary table salt), but rather due to its use in making meats kosher, by helping to extract the blood from the meat. Rather than cubic crystals, kosher salt has a flat platelet shape. This is done in some salts by adding yellow prussiate of soda (sodium ferrocyanate). Because kosher salt grains are larger than regular table salt grains, when meats are coated in kosher salt the salt does not dissolve readily; the salt remains on the surface of the meat longer to draw fluids out of the meat.